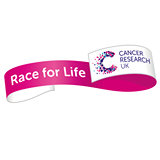 Mullrunners have been organising the ‘Pink Run’ Race for Life for Cancer Research since 2010 and a grand total of £7166.50 has been raised through the wonderful support we have here on the Isle of Mull. 2014 £579.11, including £155 from Rhia Edwards from running/cycling/walking 5k every day for 50 days. £40.00 buys 500 special plastic dishes that let scientists follow a cancer cells’ every move to find out how cancer cells make a break for it, so that they can discover new ways to stop the disease in its tracks. 90% of all cancer deaths are due to cancer cells spreading around the body. Experiments investigating this could one day find ways to stop the spread of cancer cells, giving people across the globe more tomorrows. £1000 kits out a fresh-faced PhD student with everything they need to beat cancer, sooner, helping us to train the researchers of tomorrow who could be making the breakthroughs of the future. Every new researcher needs to be fully equipped with the tools they need to fight cancer. You wouldn’t send someone into battle without protection – a lab coat costs + gloves: £10; then they need weapons to beat the enemy – a set of pipettes cost: £800, boxes of tips cost: £120. And finally, we’ll give them essential items to plan their strategy of attack – a notebook and set of marker pens cost: £10. …Cancer doesn’t stand a chance. £4,000 buys a clever machine that can make 80,000 copies of DNA in just one second, like a turbo-charged genetic photocopier! If you want to understand what makes a cancer cell tick you need to get your hands on the cell’s DNA- and lots of it. Scientists can use these machines to scrutinise individual sets of instructions in the DNA to work out which errors in the code lead to cancer – helping to diagnose patients sooner, saving more lives.